I am such a soft touch. My husband can tell you. I cry when the confetti comes down on the winner of American Idol, and I cry when someone wins a car on The Price is Right. I cry at the end of The Muppet Movie when Kermit sings the reprise to “Rainbow Connection.” It’s something about happiness and love and people having their dreams fulfilled. And because I love libraries, and their stories, so much, Heather McCormack’s post about the publisher-library connection struck me as sweet and wonderful and made me tear up. a gorgeous little loop that leads to innumerable sales and circs that no one’s bothered to measure. And if you like sharing library memories, don’t miss the continuation of library week over at The New Sleekness with posts from Shayera Tingri and Kassia Krozser. If you have other library links, please share them! The building that once housed Coleman Library. In the same way that I love birth stories and love stories. So I was delighted to see Kate Rados’ little post about libraries, with an accompanying cute picture. I commented–about my memories of yummy musty book smells and the wonderful sound of the card-stamping machine–but then couldn’t get the library thing out of my head. 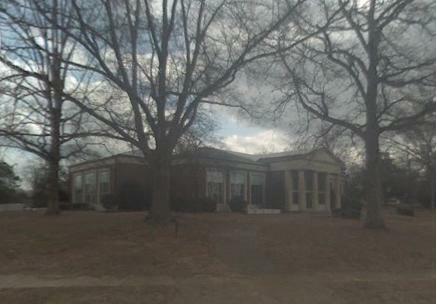 So I looked up images of my first library, Coleman, which was funded by the Callaway Foundation. But before I knew about race and segregation, when I was just learning to read, this library was the most magical place I had ever known. As if to prove its magical abilities, one afternoon as my grandfather and I walked outside, rain came down on one side of the building while the sun shone on the other. The library was the dividing line of the universe. All the knowledge in the world, good and bad, up for grabs. If you have a library story, head over to Kate’s post and share it in the comments. Over the Thanksgiving holiday, I listened to a fascinating report by “On the Media” about the status and future of book publishing. …there is a huge overproduction of titles….if you give people a choice between a hundred things, that’s a real choice. If you give them a choice between half a million things, it’s no choice at all. For a reader, it’s boom times. There are more options. There’s price competition, there’s format competition. There’s new ways to read. You can get things delivered faster. They’re accessible online. There’s more voices, there’s more communities to serve you. So for readers, it’s terrific. Is it possible for them both to be right? As a reader, I want my books to be entertaining, enlightening and/or well-written. With traditionally published books, there is no guarantee that I will love a book. But there is an implied promise of quality, since the publisher invested time and money in the product. Hopefully, they will want each book to be good enough that I will come back for more. There may be no such promises with self-published titles, and more books in a crowded marketplace might very well make it harder to find the ones I will enjoy. Maybe. But I’m not fully convinced. There are always more books I’d like to read than ones I will have time to read. And I’m not one to plunk down large sums of money for the pleasure of one single story. I visit the library, the used bookstore, and read online. I find the price competition of a crowded market appealing. Also, I like choosing for myself what makes a good read. Take this example. When the author of a blog I like put her self-published book up for sale, I bought it. I knew from reading the blog that I would enjoy her writing. In this case, my interest and my RSS feed made pretty good filters. But then Brooke Gladstone moved on to this question: Do you love reading or do you love books? Picking one or the other is almost like a mother admitting she has a favorite child. If I think about browsing a bookstore, or the many books that litter my small apartment, or the smell of old pages mixed with a summer breeze coming through the window…I’m tempted to fall on the side of books. But then I manage to be honest with myself. I do nearly half my reading online or on my laptop. I gobble up stories in various formats, some of which look nothing like books. I borrow more books than I buy, and I add very few books to my keeper shelf. In practice, I’m format-agnostic. I like physical books because they are convenient. But my love is reading. So give me print books and digital books. Traditionally published books and self-published books. E-books and video books and enriched books. I’ll take content in as many ways as I can get it, as long as the story is good.